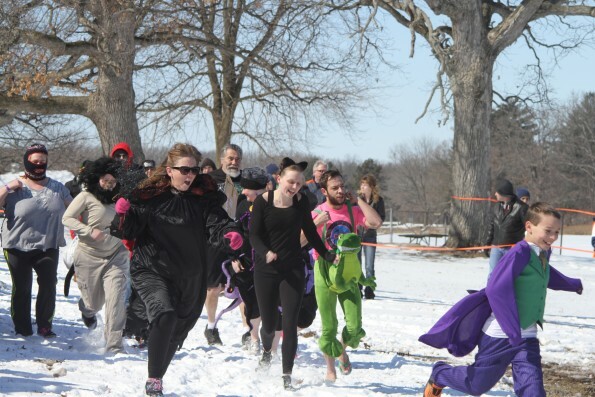 For Kathleen Williams and her daughter, Emmerson Hjort, the Polar Plunge in Mahomet is all about the costumes. “We absolutely LOVE the costume part,” said Kathleen. “We take costumes very seriously and are proud owners of several Golden Plunger awards and a Silver!” Their team’s costumes have included princess formals, court jesters, cavemen, villains and a Siberian boxing team. 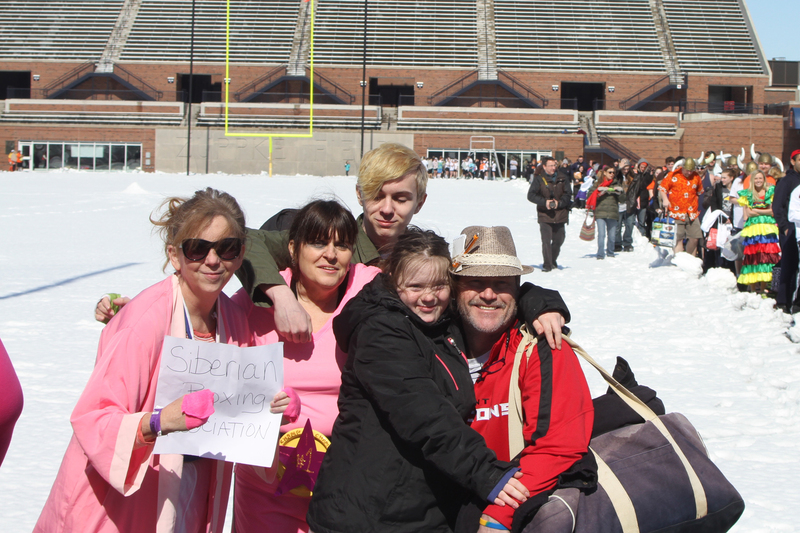 Kathleen and Emmerson became involved in the Polar Plunge six years ago as “toe dippers” for the first two years. “I wasn’t sure I could handle it,” said Kathleen, who had the utmost respect for the “all-in” plungers. Emmerson, 13, participates in Special Olympics through Mahomet-Seymour Special Olympics. 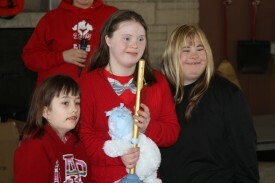 She competes in athletics, bocce, gymnastics, softball, golf and snowshoeing. “Emmerson has lots of amazing supporters who have seen how much fun we have and have joined us to support her and this fantastic organization. The team grows every year with either plungers, donors or the sideline cheerleaders who support us that way.” Their team raised $2,800 in 2015. As a parent of a Special Olympics athlete, Kathleen knows first-hand the benefits the program brings to people with intellectual disabilities. “Some of my most beautiful and priceless memories are related to Special Olympics. Get involved, volunteer, become a sidelines cheerleader for the athletes. Whatever you choose to do, I guarantee your heart can never be the same,” she said. The team will be plunging again this year at noon Saturday, Feb. 27, at Lake of the Woods in Mahomet. If you are interested in joining the Kathleen and Emmerson at the Mahomet Plunge or want to plunge at any of Illinois’ 21 locations, visit PlungeIllinois.com.